Designed for use with PAP devices with pressure range of 4-20 cmH2O and standard 22mm tubing. The Invacare Twilight Full Face Mask combines comfort and a great seal in a light-weight package. 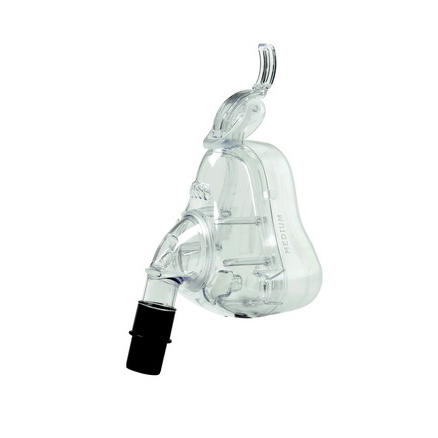 Mask includes shell, cushion, 4 quick clips, spare anti-asphyxia valve and headgear. * For current pricing and availabilty, please contact support. Patent pending design uses breathable headgear as forehead support to enhance comfort and reduce irritation. Unique cam-lock allows unlimited forehead support adjustment for a customized fit. Quick clips provide secure attachment of headgear with an easy to use design. Multi-patient use for cost effective laboratory applications.